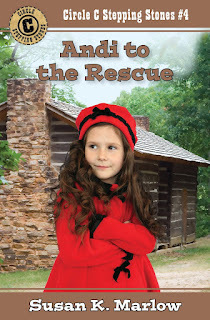 Andi to the Rescue is the fourth book in the Stepping Stones. I have to confess that I got the plot for this story from watching an old Big Valley western TV episode. It was so perfect! The main heroine was kidnapped by outlaws who--shocker--wanted her to teach the main outlaw how to read. What a cool premise. So I remembered it for many years and decided I could have something similar, but of course the heroine would be Andi, age nine, instead of a grownup (like in the series). And of course, just the snippet plot (outlaw wants lady to teach him how to read) ends up being totally different when I wrote it. But that is full disclosure for this story. THE CHARACTERS Bad guys abound in this story. The whole story is set around the outlaws. But the main character is a "gentleman" outlaw. THE SETTING Where else but in the schoolhouse and in the outlaw's cabin high up in the Sierra foothills. So high that--gasp--there might be a little snow for Andi, who has never seen dnow. BEHIND THE SCENES Andi does not share the cover with anyone in Andi to the Rescue. It was the easiest cover of all! 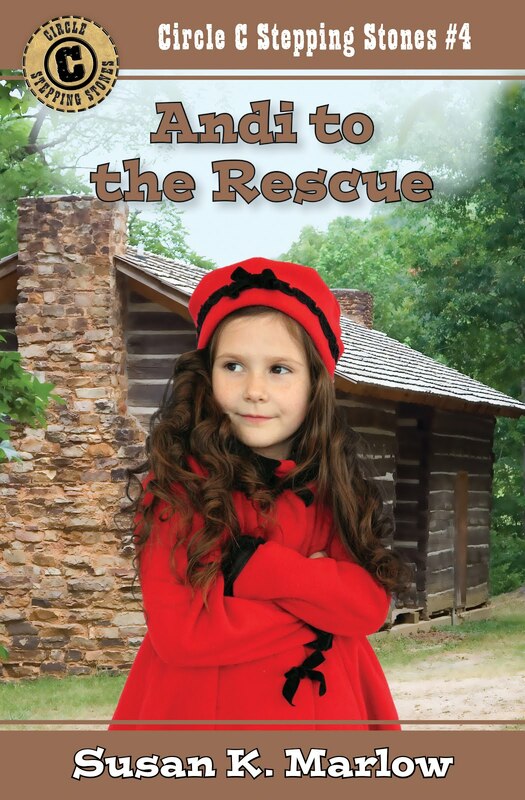 I knew right from the start what I wanted Andi to be like in her red, Victorian wool coat. 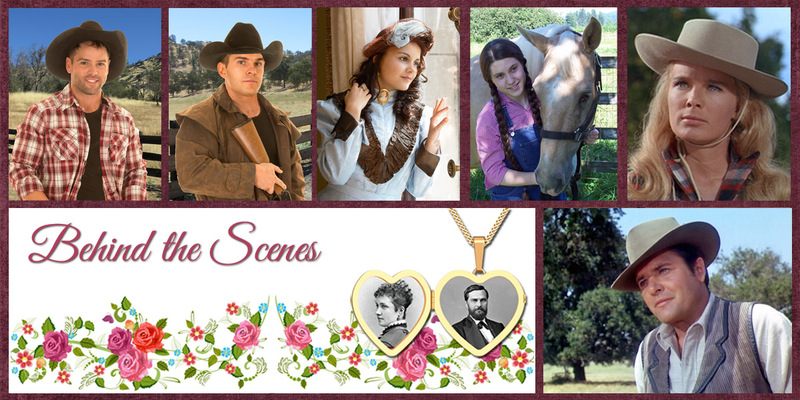 THE SNIPPET "White Christmas" is set just a few weeks after Andi returns from her outlaw adventure in the hills. Originally published in the Tales book, I rewrote it, made Andi nine, like in the Stepping Stones book, and turned it into third person. So, even if you have already read this story, you might enjoy it from a slightly different perspective. This is the greatest!!!! Love the pictures, and the information. Thanks so very much, Mrs. Marlow!